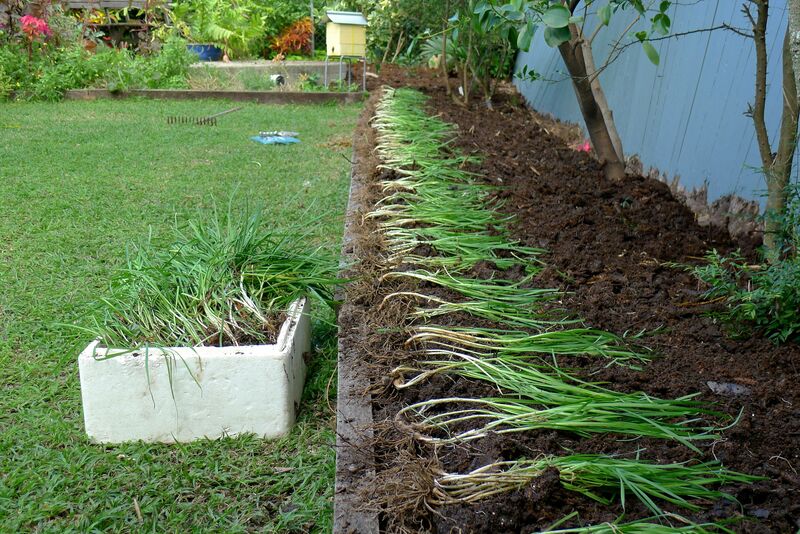 ‘Bellis’, Brisbane’s sustainable house and garden, produces 4 metric tonnes of compost a year. Using low till, ecologically sustainable gardening techniques enables this property to sequester 0.638 metric tonnes of atmospheric CO2 gas each year. Doesn’t sound much, does it? In the USA, a thirty year study by the Rodale Institute discovered that ecologically sustainable farming, where compost is central to food production, each 1 hectare of composted land sequesters 7.845 metric tonnes of atmospheric CO2 gas a year. By contrast, organic farming and gardening rely on using the natural carbon cycle to increase the amount of carbon stored in the soil. They achieve this by stimulating soil microorganisms to increase soil fertility, defend plants against disease and to improve plant nutrition and soil health. Commonly referred to by organic farmers as “black gold”, humus is a stable form of organic matter that remains in soil after prolonged microbial decomposition, and is an ultimate indicator of healthy soil. Carbon can be contained in stable humus fractions for more than 1,000 years. Sequestration starts in the first year of change. According to Australia’s CSIRO there is approximately 50 M ha of farmland in Australia, roughly 6 per cent of the land area. Using Rodale’s results this represents potential for at least 390 million tonnes of captured carbon per year. According to the Australian Greenhouse Inventory in 2005, net Greenhouse gas emissions were 559,074,490. Therefore Australian farmers using compost could naturally sequester almost 70% (69.76%) of our emissions. This extract comes from my article ‘Carbon Farming’ first published in the ABC’s ‘Organic Gardener’ magazine, 2008. How will you celebrate International Compost Awareness Week? Great article.Thanks for sharing valuable information.